How could it possibly be November already? It feels like this year is flying by! The holidays are right around the corner, and we want you to get the most out of your seasonal signage. Thanksgiving and Christmas are prime time for retail stores, contractors, or anyone who is selling a product or service. Using holiday graphics is a great way to positively affect customers. When the customer feels good, they tend to spend more. The holiday season can represent anywhere from 20% –40% of annual sales for many businesses, and in recent years about half of marketers have launched a holiday campaign before Halloween. A key component to your holiday campaign needs to include your in-store signage. If you haven’t gotten yours yet, it’s time to start thinking about it! 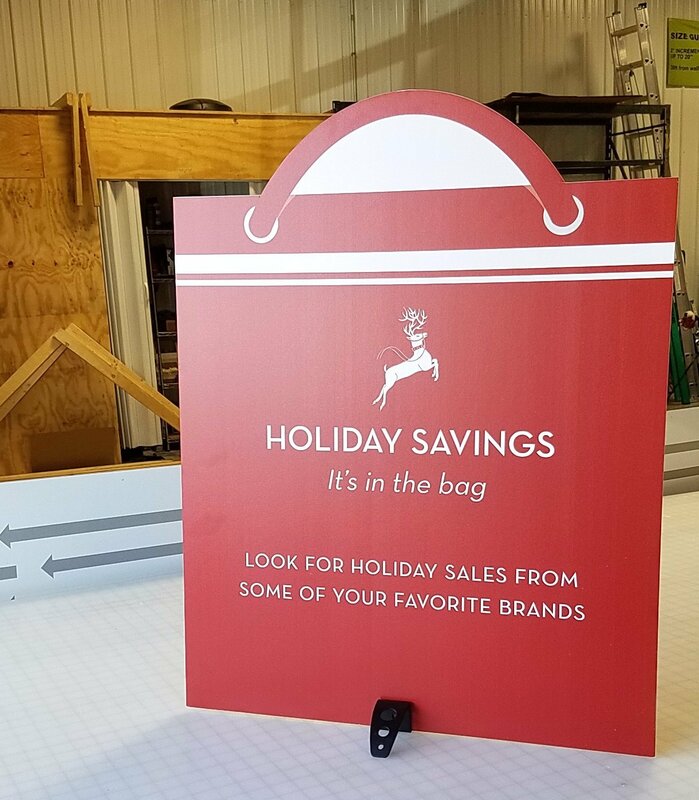 People pay attention to signage during the holidays more than any other time of year, which is something to capitalize on to boost your sales. Fill Your Windows. Let them know you’re worth the stop by catching their eye with your window displays. Entice potential customers and draw them into your store by using bright, bold colors and easy to read signs that advertise your great sales or new and exciting products. Direct Your Customers. Make shopping easier for your customers by using as many signs as possible to convey messages. Having good signage is like having another sales associate working the floor, so make sure they are located front and center. Deck the Halls. The old saying “bigger is better” is true when it comes to your signage. Decorate your store with bright, festive, eye-catching graphics. Build Brand Awareness. Incorporate your brand into your signage. Use consistent fonts and colors to help make your brand recognizable. This will help customers recognize and remember your brand after the holidays have ended. Where can you get holiday signage in the Quad Cities? 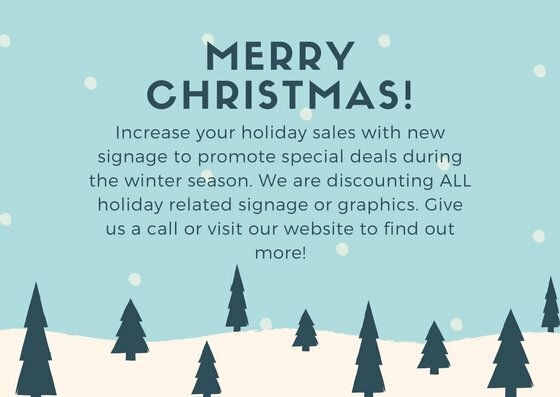 Here at Riverbend Signworks we are dedicated to helping Quad Cities and surrounding areas grow their business through various types of signage, including seasonal promotions. If you’re in need of any holiday signage, give us a call or request a quote on our website! We are discounting ALL holiday related signage and graphics. PreviousPrevious post:Calling All Contractors!NextNext post:Tis the Season for Indoor Signs!